we offer to you that treks in the western part of Nepal This trek through the remote wilderness of western Nepal offers a superb experience of nature and a visit to Rara lake, the Nepal 's Largest lake at 3062 meter. Beginning the trek from mountain airstrip of Jumla after fly ing from Kathmandu via Nepalgunj the trail passes through countryside which provides glimpses of culture and scenery quite different from that found elsewhere in Nepal, eventually leads to Rara Lake National Park. This beautiful high altitude lake is surrounded by alpine meadows and forests of pine, juniper and spruce, whilst in the background are the magnificent snow-capped peaks of the Himalayas. The entire route is 'off the beaten track' which involves crossing of Gurchi Mara pass at 3710 meter on the way to Rara Lake and few ridges at around 3000 meter on the way back. Any physically fit person can make this moderate trek anytime in March to May and October to early December. this trek give you more excite and enjoyable in the Himalayan. KathmanduKathmandu, being a historical and cultural heart of Nepal, is a popular destination for tourists, trekkers and adventure seekers. The city presents a wonderful mixture of Hinduism, Tibetan Buddhism and Western influence in the Valley. Patan and Bhaktapur are its two major neighboring cities which bear immense historical, cultural and religious significance. There will be a half day guided tour to the famous & biggest Hindu shrine PASUPATHINATH, the largest Buddhist stupa in town BOUDHANATH, the 15th century palace of 55 windows and SOYAMBHUNATH. In the evening, a trip orientation meeting will be organized. We take ninety-minute flight to Nepalgunj in the far south west of Nepal. Nepalgunj is a busy crowded city which lies close to the Indian border. On thirty-minute flight from Nepalgunj to Jumla, we enjoy mesmerizing sights of snow-capped Himalayan mountain peaks. On reaching Jumla, we interact with the trekking crew and we begin our trekking after lunch. We transverse northwards out of the Jumla Valley. Soon after trekking for an hour, we encounter a small village of Micha bearing a small walled enclosure and a number of Buddhist stupas. These stupas were erected in memory of important dignitaries of the region and date back to late 15th century. The trails further leads to rock-strewn path and at last ends at Chala Chaur, our campsite. Nepal mountainsWe leave Chala Chaur and follow a trail wending along path of steep stones. In the course of ascending, we cross through birch, pine forests and grassy pass at approx 3500m. Kanjiroba becomes visible in the east with its twin peaks towering over the adjacent area. Further on, we descend as the trail opens into lush forests. After trekking for hours, we finally stop at a suitable campsite in the meadows nearby some shepherd's huts. We walk along the Jaljala Khola through forests of pines and terraced farmland. En route the trail passes the 300 year old Kanaksundari Temple. The temple holds immense religious significance for Hindus. The route further bends along the main river. Crossing a thick plank bridge, we finally descent into Sinja village. Sinja village rests upon a small alluvial plain on the west bank of the clear Lah Gad River, also called the Sinja Khola. Sinja was once the ancient capital of the Malla kings. There are stones lying along the trail that foretell the history of Malla dynasty. After lunch, we head to Botan. On the way we pass through a spectacular gorge and finally reach at village of Botan where we set a campsite. Leaving Sinja Khola, we follow the trail along Ghatta Khola amid the unparalled beauty of nature. The sinuous route winds up into terraced farmland and beautiful valley. Soon we find ourselves within the territory of Rara Lake National Park. We come across primitive flour mills and police post on the way. Rara Lake National Park houses unique and rich ecosystem. We can spare half an hour exploring the beauty of the park or simply doing whatever we feel like. We camp at Gorosingha. Trekking NepalWe walk away from the Gorosingha campsite and ascend to the Ghurchi Mara ridge [3710m] for one and half hour. The trail is not that strenuous as it looks like. On reaching the crest of the ridge, an excellent panorama sparkles to the north flaunting irresistible beauty and charm. 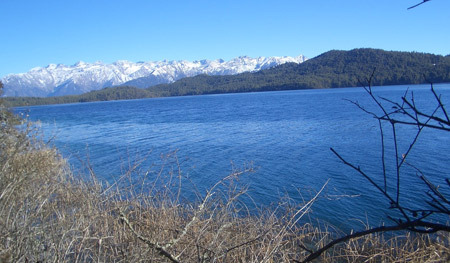 As the trail descends, Rara Lake becomes visible on the northeast. The trail further passes through bamboo and birch forests before crossing the Khatyar Khola. We then follow the river upstream to Rara Lake where we savor the most fascinating trekking experience amid the beauty of nature. We now have 2 days set aside to explore the area, including the old village of Rara. We can also climb up to the wooden observation tower behind the post office for fine views of the lake and surrounding hills. We can even visit the National Park Headquarters. Swimming is allowed in the lake and it is piercingly refreshing. This can be a perfect way of acclimatizing. We depart from Rara Lake and continue skirting along the target destination. On crossing a ridge, we enter the village of Jhyari . Strolling by the Jhyari Khola, the trail further follows terraced farmlands. As we approach Dhauligar Khola valley, we find a suitable camp site near the river bank. We also get to witness an exotic charisma of nature and outstanding panorama of snow-capped mountain peaks. As Dhauligar Khola blurs out of our trekking route, we pass through farmland and then enter the village of Pina . Pina has a police post and hotels. We continue climbing to the Ghurchi Lagna pass and come across several small chortens, alpine-like pastures, walnut groves and a narrow valley. Finally, the steep slope guides us into the village of Chautha where we conclude the trek of the day. From Chautha, the trail follows the northern bank of the Sinja Khola past the hotel and health clinic under the massive overhanging rock at Kabra. Silaji found in this area is the source of the important medicinal mineral which is believed to cure almost anything. The route then passes through the villages of Bumra and Nyawre, before climbing to the pasture at Tharamara. We camp at Tharamara. NepalFollowing the trail gently sloping upwards, we march towards Jumla. We meet tall birch trees on our way to the Khali Lagna and Danphe Lekh. From atop the ridge, we can have the most spectacular views of the mountain ridges to the south and Jumla below. Further on, we descend steeply to the first night's campsite. Utmost caution is required while trekking along this trail. Then we follow the same route back into Jumla. 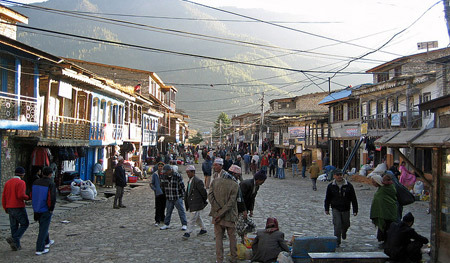 After reaching Jumla, we can spend our afternoon exploring the busy market town or simply pursuing whatever we feel like. We take a flight from Jumla to Nepalgunj. On reaching Nepalgunj, we return to Kathmandu on the next available flight. The rest of the day in Kathmandu can be spent shopping and general sightseeing.